Petrodvorets (literally Peter's palace) located 30 km west of St.Petersburg is the most impressive of St.Petersburg's suburban palaces. 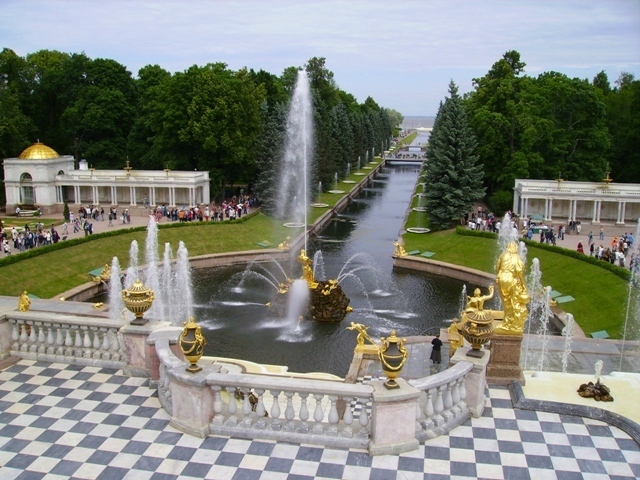 It consists of a whole series of palaces set within a spectacular ensemble of gravity-powered fountains. 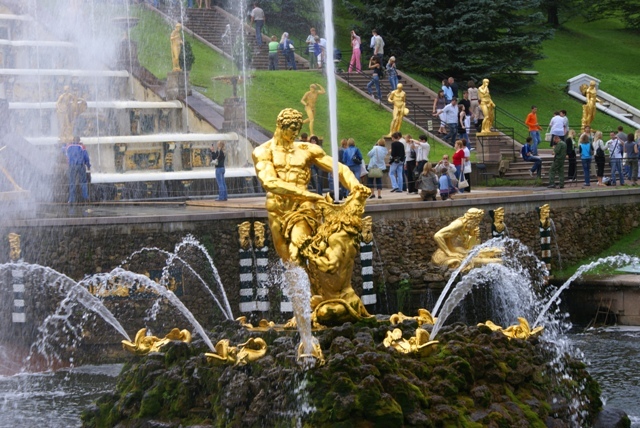 The centerpiece is the Grand Cascade, a symphony of over 140 fountains and canals partially engineered by Peter the Great himself. The gilded domes of the Grand Palace. 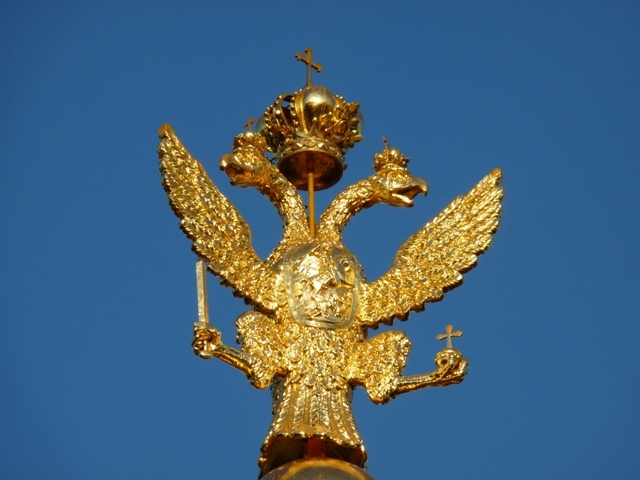 The eye-catching Peter and Paul Cathedral is built in neo-Byzantine style but dates back only to the beggining of the 20th century. The grand imperial estate of Tsarskoe Selo (literally Tsar's Village) is in the town of Pushkin 25 km south of St.Petersburg. The centrepiece the beautiful baroque Catherine Palace built between 1744 and 1796. The town changed its name from Tsarskoe Selo to Pushkin in 1937 after Russia's favourite poet Alexander Pushkin (of African origin) who studied here and whose school can also be visited. Around the Catherine Palace extends the lovely Catherine Park dotted with intrriguing structures. 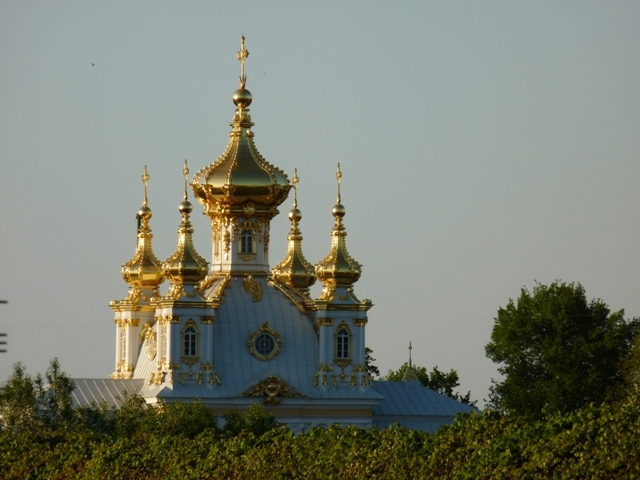 It is an appealing provincial town dominated by a medieval castle rising from a rock in Vyborg Bay. The castle was built by Swedes in 1293. The 16th century Round Tower now houses a good restaurant. Sunset on the Gulf of Finland.